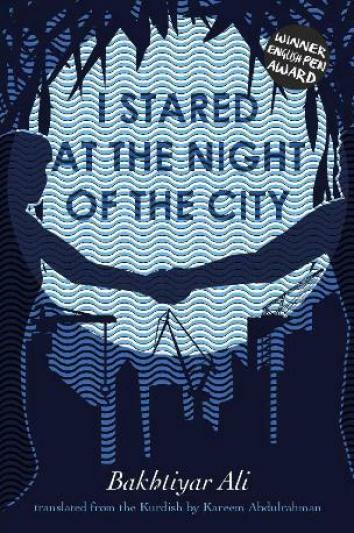 I Stared at the Night of the City is the first Kurdish novel ever translated into English. But Ghazalnus, whose nickname refers to a poetic form usually used to express love or mystical themes, makes the case for artistic detachment. In an inversion of the old Stalinist slogan that the role of artists is to be “engineers of the human soul,” he argues that “poets are the architects of their own exile” and that “it is the poet’s job to reside in exile and look at life from there.” The role of the poet is to observe society from the outside rather than participating in it directly. He also saw it as a missed opportunity that Kurdish literature has not been more widely promoted. “As a nation, but especially our public and political institutions and organizations, we don’t understand the importance of culture in both putting the Kurds on the cultural map of the world and in supporting the Kurdish cause,” he said. The fact that there’s no independent Kurdish state to promote this work may be one reason. “Although there’s a large Kurdish community in the West, we haven’t managed to create the right institutions and tools to be able to promote Kurdish culture and literature,” says Abdulrahman. Kurdish language and culture was also suppressed for many years in the countries where they live. The language itself is divided into several dialects. The book was written in Sorani, spoken predominantly in Iraq and Iran, but most Kurds in Syria and Turkey speak another dialect, Kurmanji, or a number of smaller dialects. Abdulrahman also notes that, “Kurdish fiction in general is quite new. Only in the past 60–70 years have we started to produce stories and novels even more recently than that.” Poetry on the other hand, has a much older and richer history. “Poetry is the most dominant form throughout Kurdish history, and I think Bakhtiyar deliberately chose a poet to be the symbol and representative of intellectuals, because all the other traditions are very new,” says Abulrahman. Being the first to translate a novel between two languages presents some unique difficulties, including a lack of reliable Kurdish-to-English dictionaries. Abdulrahman recalls the word atamin, which means “embroidered muslin” and turned out to be borrowed from French via Arabic, giving him particular headaches. He also didn’t pick an easy book to start with. I Stared at the Night of the City is a 542-page behemoth featuring multiple narrators, dozens of characters, a nonlinear chronology, and large sections written as poetry. *Correction, Jan. 3, 2017: This piece originally stated that the book is available in the U.S. only as an e-book. It is available in both the U.S. and Britain in both print and e-formats. It also misstated that Abulrahman was approached to translate the book after writing an article for the BBC. It was for the Times Literary Supplement. It also put the number of Kurds living in the Middle East at roughly 20 million. Most estimates suggest there are at least 25 million.